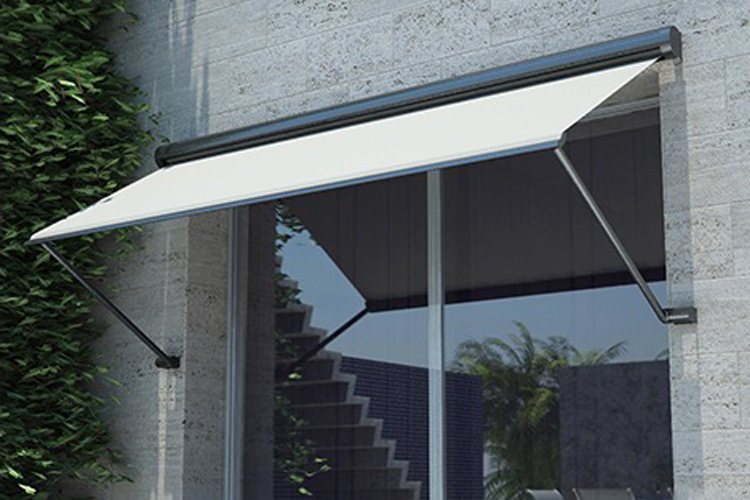 We have found that pivot arm awnings online actually suit a variety of applications around the home. They can be used for protecting balconies and alfresco areas from the elements, they’re ideal for situations that involve second storey windows, and they even have benefits in door protection. No matter your application, these awnings are sure to be a perfect match. These awnings can be both motorised or manually controlled (via a crank handle). As an added bonus, the controls can be installed inside your home to ensure that you don’t have to venture outside when the weather is poor. Please contact us for more information on this. The angle that is created between the wall and pivot arm awnings in Melbourne actually ensures that your home will experience good airflow. During the summer, for example, you’ll be able to open your windows to allow fresh air in without fear that the glass will heat up too much. We have a wide range of fabrics to choose from, ensuring that you’re able to find one to meet your needs. Some of the fabrics we offer include: acrylic, canvas and sunscreen. Each type comes in an array of colours, ensuring that you can find a perfect match for your home décor. Our system 2000 pivot arm awnings are spring loaded, which means that they hold the fabric taut at all times. When coupled with our durable frames, you’ll find that these awnings are suitable in moderately windy locations (of up to 50km per hour). Note that they should be retracted during storms.